Dr. Michael Ross Murphy passed away on August 5, 2018, at the age of 73. He was born June 3, 1945, in San Antonio, Texas. Dr. Murphy earned a B.A in Psychology from Occidental College in Los Angeles in 1967 and received his Ph.D. in Psychology and Brain Science from Massachusetts Institute of Technology in 1972. His areas of expertise ranged from physiological psychology and neuroanatomy to chemical defense and the biological effects of non-ionizing electromagnetic radiation. In 1982 Dr. Murphy returned to his home town of San Antonio, where he began his career working on medical protection for chemical weapons toxicity for the Air Force, first as contractor/manager with Systems Research Laboratories and later with the US government. He joined the US Air Force Research Laboratory in 1989 and was Chief of the Radio Frequency Radiation Branch from 1994-2004 and directly contributed to studies on the biological effects of millimeter waves and high peak power pulses. He retired in 2014. Dr. Murphy is author or co-author of over 230 research publications and reports. He was an elected member of the Board and long-time sponsor of the Bioelectromagnetics Society (BEMS) and served as President BEMS 2009-2010. He was an active member of the Directed Energy Professional Society. He served as a member of the International Advisory Committee for the World Health Organization (WHO) project on electromagnetic fields (EMF) from 1996-2004. He was a Senior Member of the Institute of Electrical and Electronics Engineers (IEEE), the IEEE Engineering in Medicine and Biology Society, and the IEEE Standards Board. 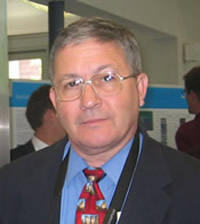 He participated in the IEEE International Committee for Electromagnetic Safety, for which he served as International Liaison for 10 years and later served as Membership Chair until 2014. Beginning in 1999, Dr. Murphy worked closely with the NATO on the topic of the human effects of non-lethal weapons. Dr. Murphy received many awards from the USAF, the most prestigious of which have been the 2002 AF S&E Award for Exploratory or Advanced Technology Development, the 1995 AFMC S&T Achievement Award, the 1993 AF Chief of Staff Team Quality Award, and the 1991 David M. Clark Technology Transition Award. In 2003 he received the IEEE Standards Board Medallion and in 2004 their International Award. He was a Fellow of the American Institute of Medical and Biological Engineers, of the Air Force Research Laboratory, and the Directed Energy Professional Society. Dr. Murphy is survived by his wife Janet, sister, daughter and son and their spouses, and 4 grandchildren. Known for his friendly smile and quick wit, Dr. Michael R. Murphy will be sorely missed by his relatives, friends, and colleagues.